Canadian adult immigrants score well above average on literacy test scores, compared to their counterparts in other OECD countries. The former scored either at or above the average for the whole Canadian population; what’s more, this situation holds even for immigrants who arrive speaking a language at home other than English or French. 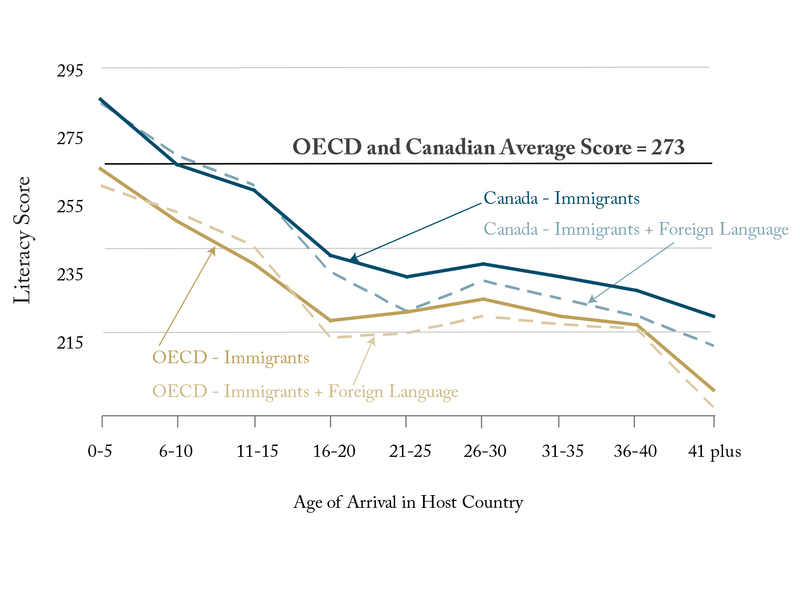 As this Intelligence Chart demonstrates, both Canadian and OECD literacy scores for adult immigrants, who arrived in the host country as children, are much better than those who arrived after high school. This suggests that school systems everywhere help with integration. But while in the OECD as a whole, first-generation immigrants never “catch up” to the average regardless of their age of arrival, in Canada those who arrive at primary-school age either end up performing as well as, or even better than, the norm.